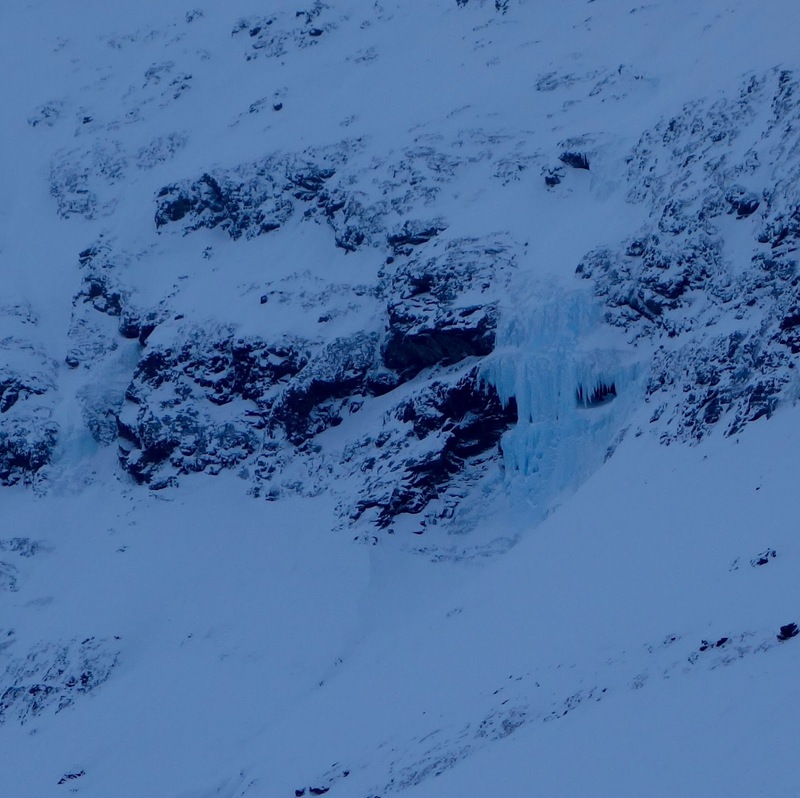 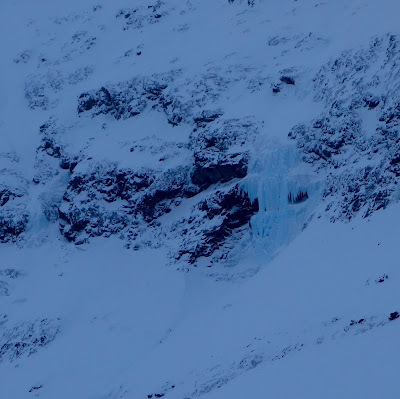 There is an obvious icefall up a valley at the end of the road in Kitdalen which we call Bogelva, after the stream that feeds it. 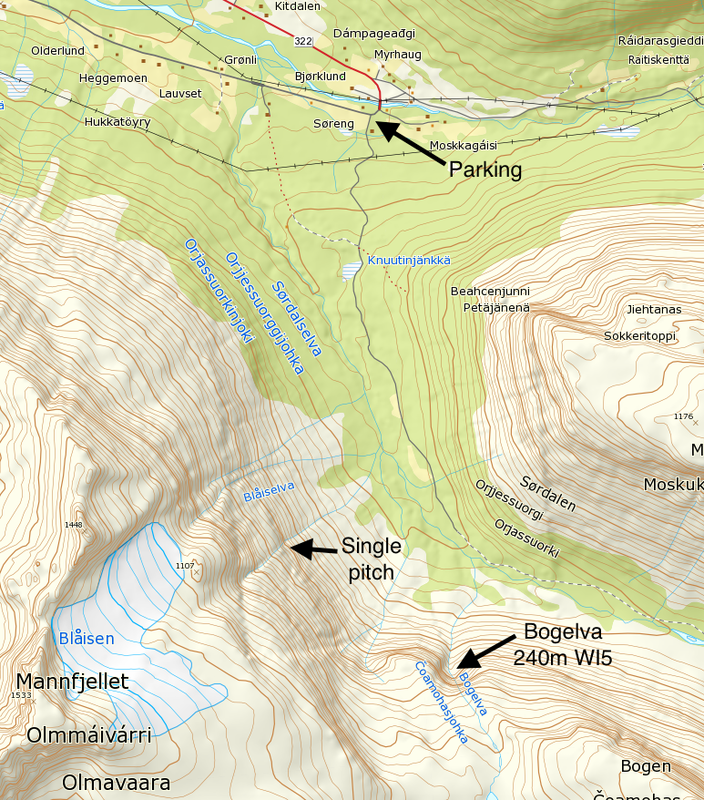 It is a fair walk (2hrs) and a long route - 240m, six pitches. The climbing is straightforward until the top pillar (2017, maybe easier other years) and goes at WI5. 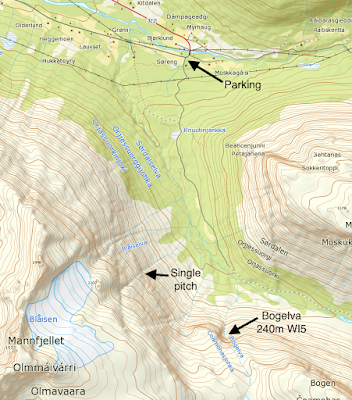 There is also an obvious route on the right when walking in (west side of valley). 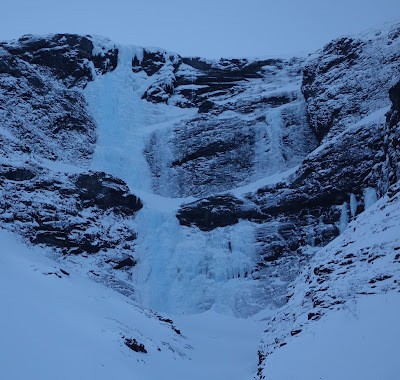 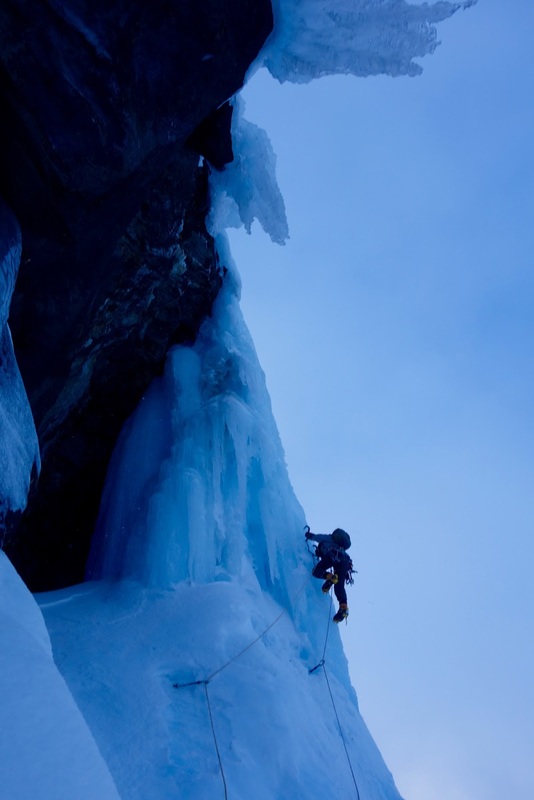 It looks to have a steep first single pitch, then appears to end until we viewed from further south - in fact it opens to a basin with a ice headwall, again probably one pitch - there would be a long trudge in between though and even the first pitch is quite high.